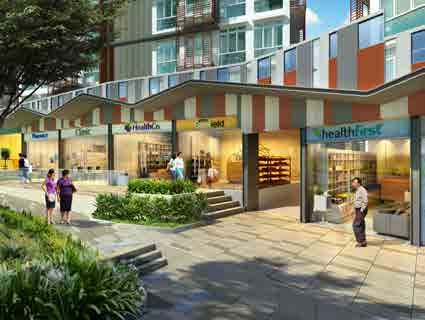 The Hillford is Singapore’s first retirement resort, integrating residential apartments with commercial shops and community services to cater to the needs of active, independent seniors. 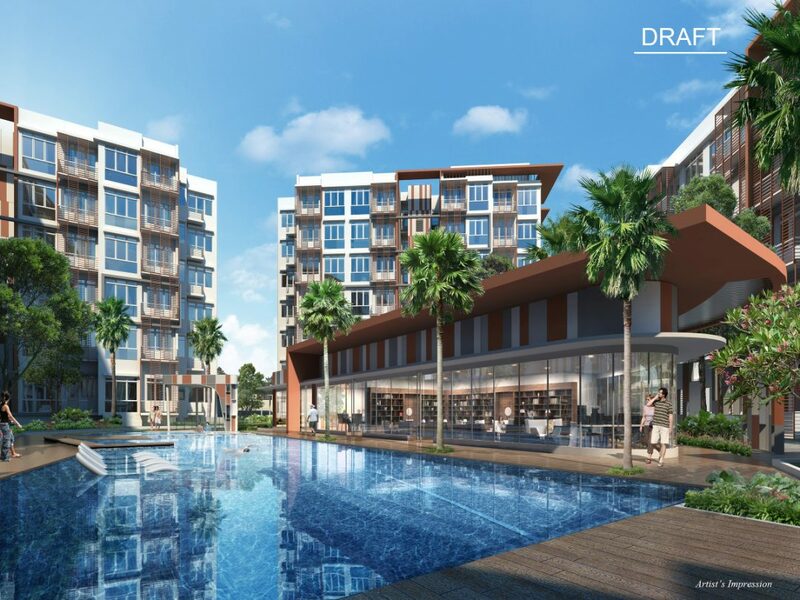 Located in an established residential estate along Jalan Jurong Kechil Road, The Hillford is right next to the tranquil enclave of the landed housing area at Chun Tin Road/ Lorong Pisang. 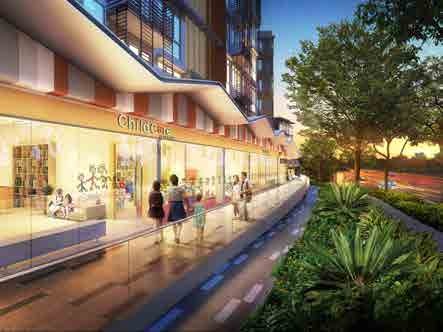 Amenities are within easy reach at nearby shopping malls like Beauty World Centre, Beauty World Plaza, Bukit Timah Plaza, and Bukit Timah Market. For leisure, there is the Jurong Country Club Golf Course and Green Fairway Golf Course, and public facilities like the Bukit Batok Public Library, Bukit Timah CC, Bukit Batok East CC, Singapore Anglican Community Services, Concern & Care Bukit Batok Central Neighborhood Link. The future Beauty World MRT station (Downtown Line) is just 8 minutes’ walk away and by car, it is just 5 minutes to the PIE, 6 minutes to BKE, and 12 minutes to KJE, providing excellent connectivity. 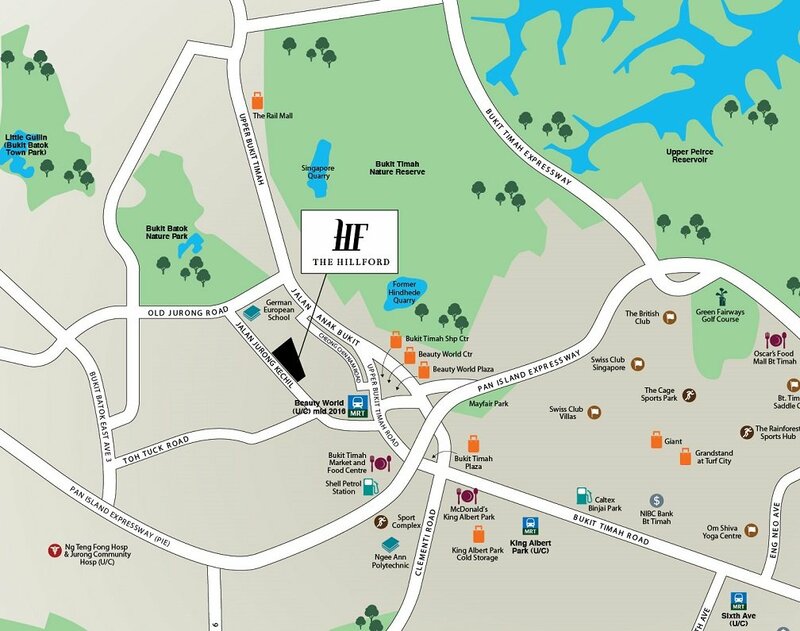 The Hillford also offers a relaxing and healthy lifestyle close to nature with nature reserves such as Bukit Batok Hillside Park, Bukit Batok Nature Park, and Bukit Batok Town Park within walking distance. 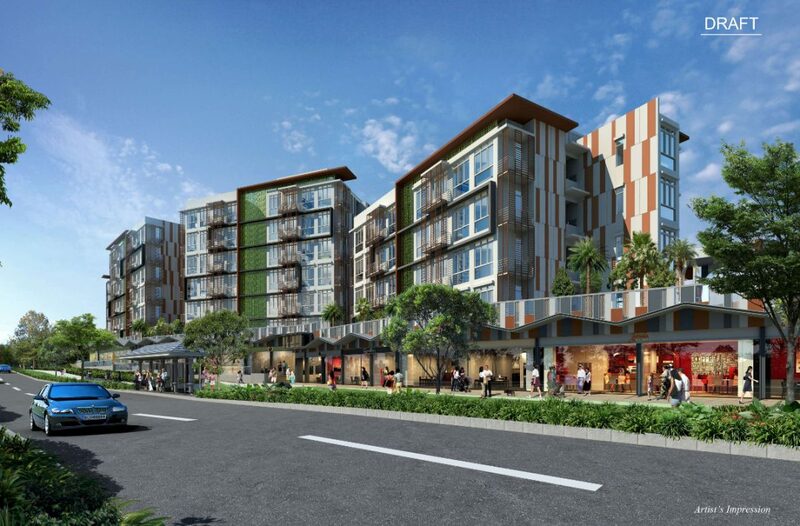 Aside from these, The Hillford will feature 18 commercial shops such as restaurants, convenience store, minimart, hair salon, beauty salon, laundry, medical clinics and pharmacies. 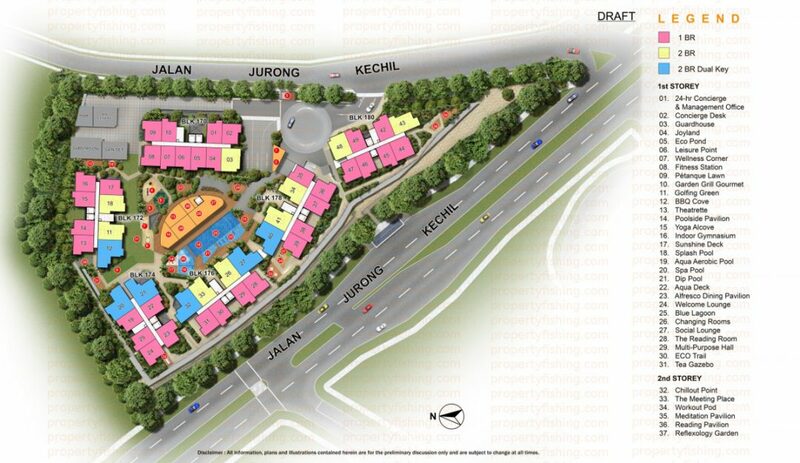 There will also be 2 community and institutional spaces for childcare and eldercare. 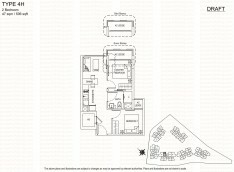 There will be a wide range of facilities for residents to enjoy including clubhouse, lounge, multi-purpose hall, games room, gym, swimming pool, library and theatre for movies and karaoke. A 24-hour concierge will provide a complete range of services to the residences including domestic help, meals and medical care (user payable basis). 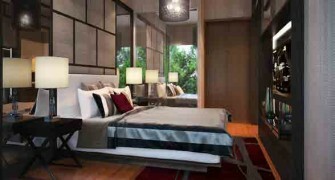 There will also be a dedicated resort manager to plan and organize activities for the residents. 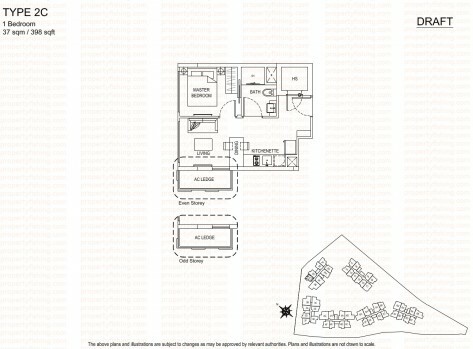 The Hillford features a total of 281 residential units comprising 1 bedroom, 2 bedroom and 2 bedroom dual key units. 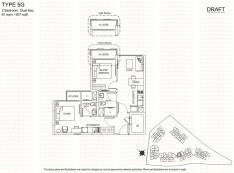 Unit sizes are tailored to provide space and comfort without creating a hassle in terms of daily maintenance and upkeep. 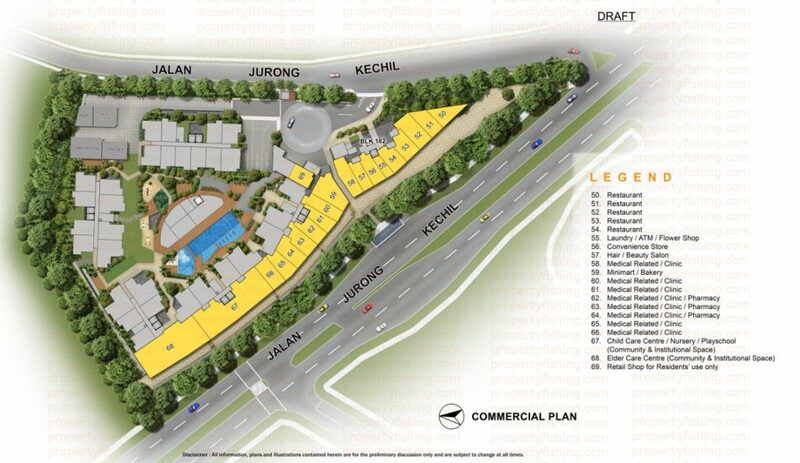 The commercial space features 17 shops that are open to the public and enjoy prominent road frontage along Jalan Jurong Kechil Road. 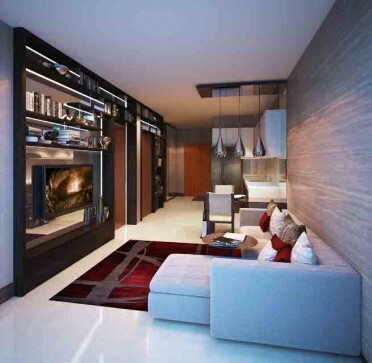 The units range from 40 to 250 sqm (approximately 430 to 2690 sqft).